This is one of the best large bromeliads, reaching intense orange-yellow colour in full sun. 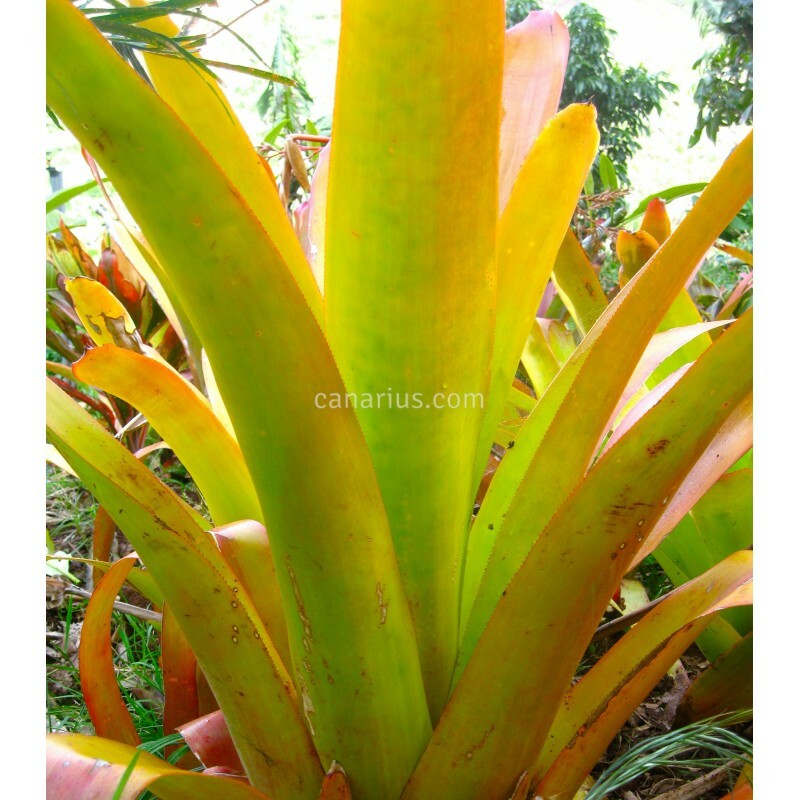 Aechmea blanchetiana is native to the Atlantic coast of Brazil, where it grows both terrestrially, in coastal sand, or epiphytically, on the branches of tall forest trees. It is a clumping species, with large rosettes of wide and glossy leaves, producing a spectacular floral display which lasts for months. The heavily branched inflorescence appears in July and grows to 1,7 m (5 ft) tall, in red and yellow and lasts until December. 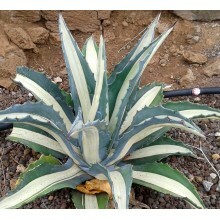 It loves hot, sunny coastal conditions but it can take light frost. It is hardy to frost of about -1 C (30 F). 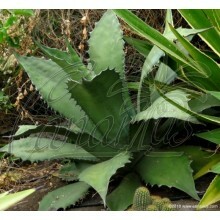 For large species such as this one, we select and ship to your home a mature plant that is going to flower in july. 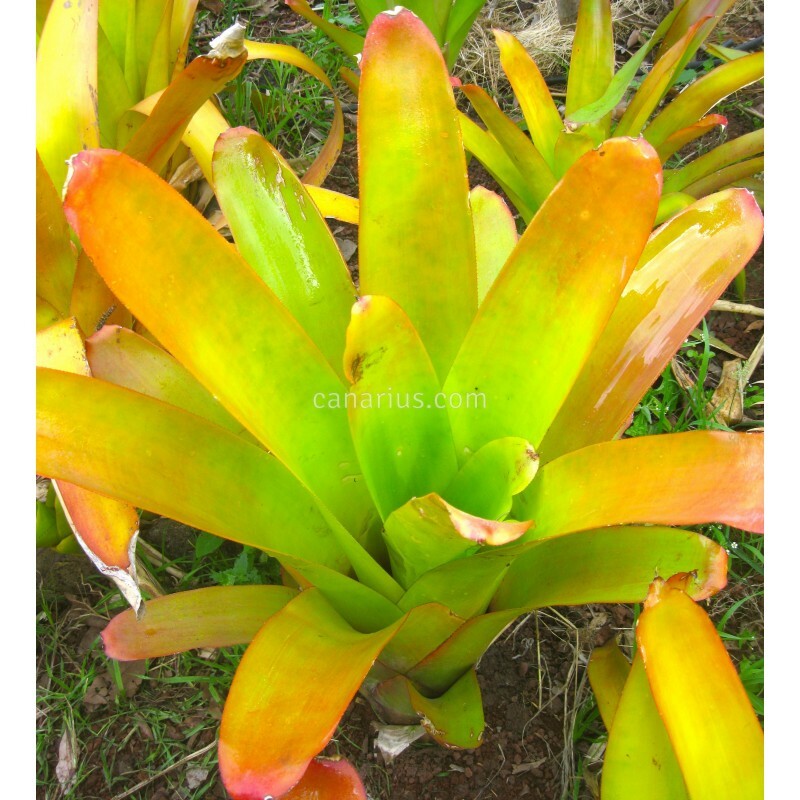 Buy here an adult sized specimen of this landscaping bromeliad, about 80-100 cm tall. 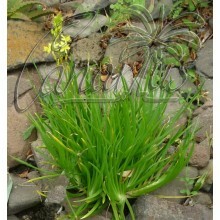 We will select a plant which is ready to flower in less than one year, in the following June-August season. Then the show will last until Christmas. 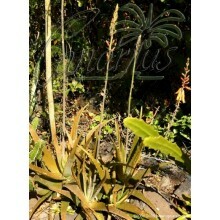 Large blanchetianas are a must in tropical gardening and will soon form showy colourful masses.